In Part 1 I shared how I’m setting myself up to hike the AT in a financially responsible way, despite not having much money. 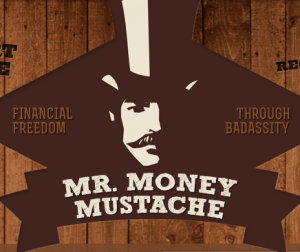 Especially relevant was my discovery in Dec 2014 of Mr. Money Mustache, a financial blogger that essentially changed my relationship with money. His TL;DR: wake up and stop wasting money on crap you don’t need that doesn’t make you happier. Look at it this way: various sources have listed the estimated cost of a thru-hike at something like $2/mile. Every $2 saved is a mile of sweet, sweet AT under your feet. Makes that $4 latte look a little less fun, eh? Here are some of the cost-cutting techniques I’ve used over the last year or so. I think the most interesting takeaway is that none of these “cutbacks” have made me feel the least bit deprived or martyred, but they are the reason I have enough money to thru-hike. Try some of it out. You might not even notice things that are “missing”, but you’ll sure notice the extra padding in your outdoors fund. Another unexpected benefit of the car situation: I used to work about 15 minutes from home at a major clothing retailer. Although I rarely intentionally went shopping, I often grabbed a top here, a pair of jeans on sale there… I would have thought I hardly spent anything, but according to Mint, I spent $617 there in 2015. That’s embarrassing. When the car broke down, I quit that job and replaced it with a job in town a mile from my house. Since then, I’ve spent $0 on (non-hiking) clothing. Moral: just remove the temptation if you’re not strong enough to resist it. Entertainment: I got rid of Netflix (my husband has an account so we were double-paying) and Hulu, and we got rid of cable for the house. Savings: $16/month or $240 total for Netflix and Hulu, and $35/month or $525 for cable, not to mention less time wasted in front of mindless evening TV. (My husband used to pay the cable bill, so we’ll call that $240 for me, AKA New Jersey and Maryland. What up, Mid-Atlantic?). Food: I stopped buying my snacks and breakfasts and lunches and whatever else I was too lazy to plan for when I went to work. By planning better and having more discipline I cut my convenience food expenses from an average of $227/month to $86/month. This varies, but it’s safe to say I’ve saved over $1000 in the past 15 months of effort. So yeah, Starbucks adds up (I spent $272 in 2015 between Starbucks and Panera, my go-to convenience food options when I worked in retail. Again, embarrassing. That’s more than my tent OR quilt cost). OK, so that’s pretty quick and dirty. The amounts might not seem like much, but compared to carrying on the same way I had been, I’ve saved an absolutely solid $2000 at the most minimum and conservative, and possibly as much as $5000 just by making slightly different choices. So there you go. There’s the money for my hike – it’s just a matter of priorities. Do you have any tips for cost-saving in prep for the trail? Share in the comments and help out your fellow hiker trash! Stay tuned for Part 3 – after you’ve cut your living expenses, how do you earn that little bit extra? As always, connect with me on the Instagram (@nicholeyoung1), comment below, or shoot me an email ([email protected]). 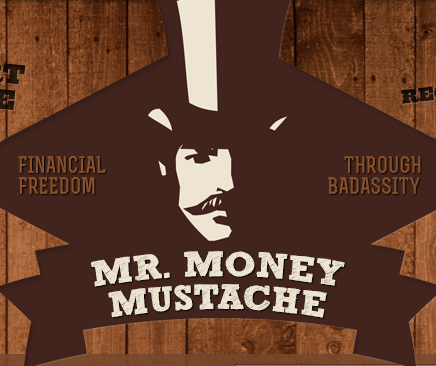 Once off the trail, keep up those savings, invest for an (early!) retirement. Yup, husband and I are already planning for early retirement/financial independence! It totally suits the hiker lifestyle 🙂 Check out MMM if you haven’t, he’s ALL ABOUT early retirement! This isn’t an option for everyone, but I started to also try to work from home about once a week. This meant I wasn’t going out to eat, and I wasn’t paying for gas to get to work. considering my commute is total of 60 miles/day, that can add up quite nicely! Kira, excellent idea on the separate bank account. Although I advocate using credit cards (RESPONSIBLY) in Part 1, I also totally understand the idea of simply removing the temptation. As for the movies, every little bit helps for sure! Also I’ve heard of people ordering movies On Demand when they’re still in theaters – it’ll be $14 or something to watch in the comfort of your own home instead of going out and buying tickets and snacks etc. The phone idea is a great one! I have been considering it too. Now that I no longer need European coverage, I am switching to a pay-as-you-go phone as well. So much cheaper while still keeping a data equipped phone while on the trail. Michael, I say go for it! You (probably) won’t miss anything about paying double for phone service! Future thru-hikers have a lot of valuable learning lessons to dissect from this one. Great article, Nichole. Thanks Zach! I just think money is such a stupid reason to give up on a thru-hike. Happy trails! Great article Nichole!! We love MMM too! Glad to read things are coming along and I think your hike is around the corner.